A scene from the documentary Sign Painters, which looks into an art form and trade that's been nearly lost to time. Talk is cheap, words even cheaper. At least to the folks in mainstream America, who may never have noticed the shift from traditional, hand-painted signage to computer-generated vinyl or screenprint. In our busy day-to-day, inundated with words and images of all shapes and sizes — on vehicles, billboards, storefronts, placards — what did it matter that cost efficiency replaced artistry when it came to America's sign painters? A scene from Sign Painters. It mattered to Faythe Levine, a Milwaukee-based artist, photographer, curator, and filmmaker who, along with Chicago-based filmmaker Sam Macon, produced first a book, Sign Painters, and then a documentary by the same name. For the 80-minute film, she and Macon interviewed more than 50 painters ranging in age from 24 to 89, says Levine. "Most of the folks we met were from following leads, after starting with interviewing a handful of people I grew up with that inspired me to make the film in the first place. From that point we just started to gather lists of names, and it was a very journalistic approach to researching the industry," says Levine, who appears at a pair of lectures in the region next week. 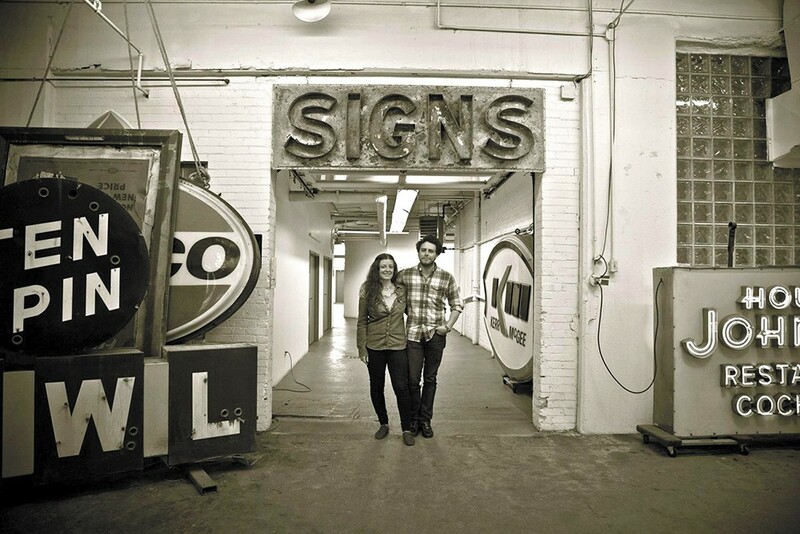 In an October 2013 interview, Chicago-based filmmaker Macon described what he saw in the differences between old-school sign painters — the industry is mostly based on apprenticeship — and the new guard. "The game has changed. There are fewer and fewer venues to really learn the trade, the unions are less prevalent, and the work is often harder to come by, thanks to chain sign stores and cheap alternatives," he told Nowness.com. Regardless, notes Macon, "Much of the younger crowd truly respects the old-timers, while a lot of the older painters seem to be really energized by the up-and-comers." 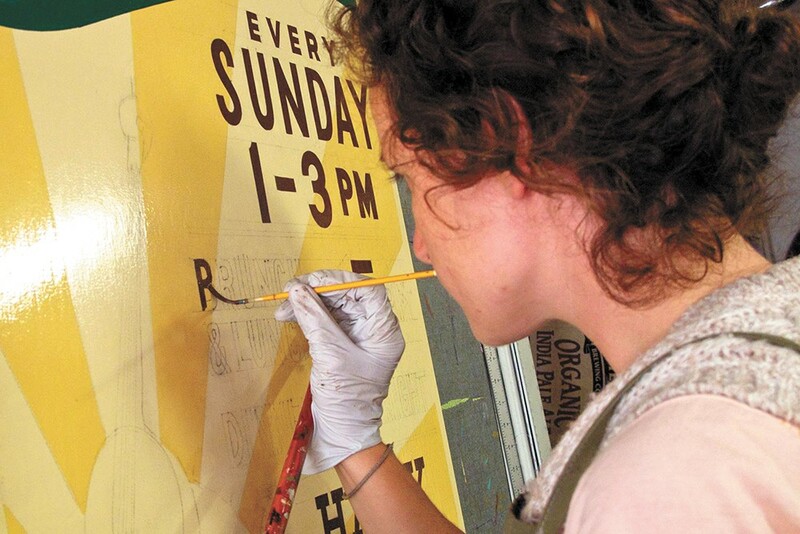 "It seems as if sign painting has made somewhat of a comeback, along with a lot of other traditional techniques and processes," says Levine. "Folks in general seem to have an interest in where [and] how things have come from or who made them." This is the second film for Levine, who will discuss her work as part of the Visiting Artist Lecture Series, with a lecture at both SFCC and EWU, as well as a screening of Sign Painters at the Museum of Arts and Culture. She described the upside of documentary filmmaking: "Working with friends, collaborating to create a documentation of something I feel is important, and being able to create a platform for larger discussion is an ideal situation as an artist." Levine's first film, Handmade Nation: The Rise of DIY, Art, Craft and Design, featuring 50 designers from 15 cities nationwide, initially attracted the MAC's Ryan Hardesty to Levine's work. Faythe Levine and filmmaker and co-director Sam Macon. "I had become interested in Faythe's chronicling of the rise of a 'maker' society through the do-it-yourself ethos," he says. 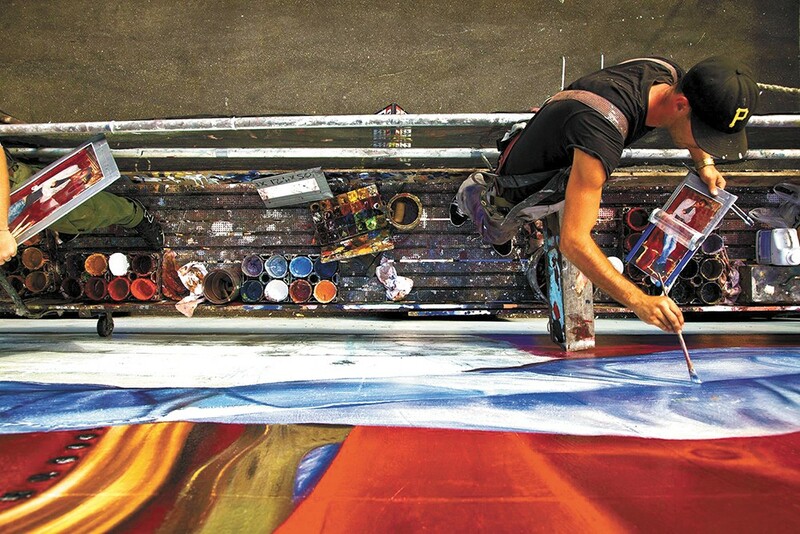 "While her film Sign Painters illustrates a lost art form in the face of a changing (and now overwhelmingly digital) industry, there is perhaps a growing segment of our population desiring the authentically handmade." Prior to producing films — or, perhaps more accurately, interspersed among her filmmaking — Levine's experience ranged from running a gallery to designing and selling handmade goods to playing the musical saw for the band Wooden Robot. The one constant, says Levine, has been photography. "Noticing small details and compulsive documentation just lent to shooting the style that has now become apparent when I look back over 20 years of images," she says. "Thank goodness for digital cameras, because now I can spend my money on producing films instead. There is just never a lack of things to shoot, plus I am always in motion, and when I first see a space it inspires me to no end." Combined, Levine's films, books, and artwork bridge realms traditionally (and sometimes separately) described as craft and art. "The art/craft discussion seems like it will always be ongoing," she says, adding that she intentionally engages only in some parts of the conversation.